SO, YOU WANT TO RULE HELL? You can. 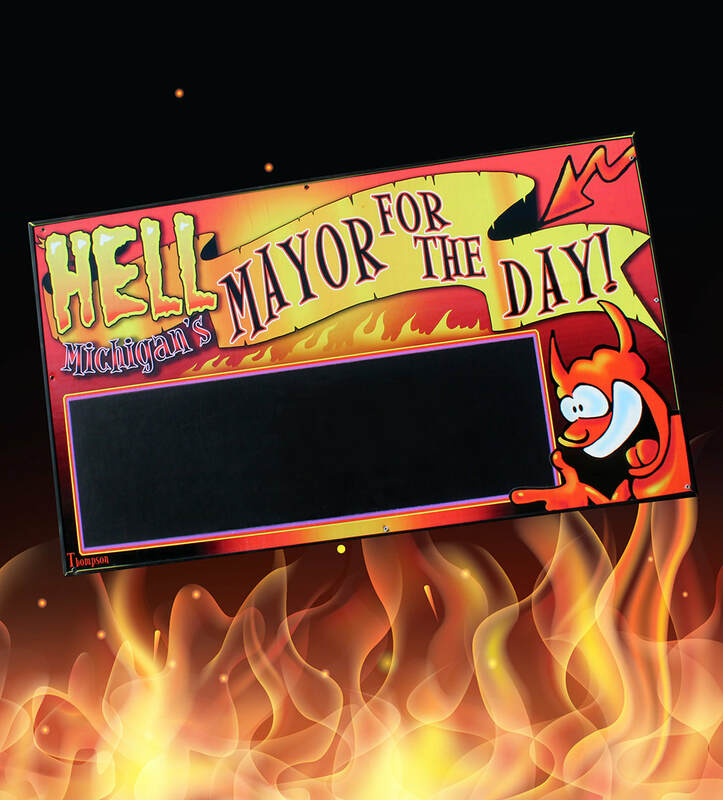 Become "Mayor of Hell" for a day, or for an hour. CONTACT US BELOW TO MAKE SURE YOUR REQUESTED DAY/HOUR IS AVAILABLE. We do not double-book and openings fill up fast, so you must approve date/time before payment. You can elect yourself, or someone else as this makes a great gift for those who have everything! But be forewarned, serve us well or we will impeach you the same day! Actually, what the Hell, we will impeach you anyway. 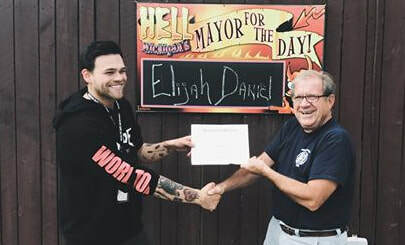 Our Full-Day Term Mayor of Hell receives horns, T-shirt, mug, badge, wallet card, property ownership in Hell along with dirt from Hell, proclamation certificates for being Mayor and for being impeached, your name all over Hell, and, of course, Mayorial duties! Our mini-term Mayor of Hell for an Hour receives both certificates and the mug. Got your date/time pre-approved? Great! Now go to our Shop tab, select Mayor for the Day under the Activities/Other category, make your selections and add to the cart, and pay to officially keep your reservation. Items are ready for you at Screams on day of event, or you can call to pick up in advance. If you need them shipped, please indicate that with the shipping option before adding to cart. Be sure to allow a minimum of one week to receive your shipment before your appointed term, unless you are okay with getting your items after you serve your term. 12:00 p.m. 1:00 p.m. 2:00 p.m. 3:00 p.m. 4:00 p.m.